Country Club community in the Tampa Bay area. At the time the club would have been considered “in the country” as Tampa had not yet grown north to its current state. The club was very successful in those years and at one time had as many as 1000 golfing members and 600 Tennis Members. Fast forward 30 years to 2003 and the club underwent an extensive renovation. Not only were the golf courses rebuilt, but they were also redesigned under the guidance of the Dan Maples Golf Design Company. It took two years to renovate all 27 holes. 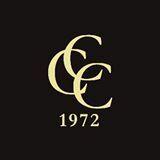 In addition to the golf course, all new clubhouse, pool and tennis facilities were constructed to create the new Carrollwood Country Club. Today, CCC offers the best in family amenities including; 27 holes of Championship Golf, full service clubhouse with banquet facilities, full social calendar, 8 Har-Tru Tennis Courts and a Jr. Olympic size swimming pool. In 2012 & 2013 CCC completed numerous capital improvement projects highlighted by the regressing of all 27 holes with Champion Ultradwarf Bermuda Grass. Champion Turf is widely becoming the putting surface grass of choice in the southeast. Many high end clubs including Pinehurst Resort have trusted Champion Turf to provide them with the most superior putting surface grasses on the market. In addition to the putting green resurfacing, other capital projects included; resurfacing of the tennis courts, construction of a tennis pavilion, pool landscaping / new pool furniture and the addition of two bocce ball courts and seating area.